Troms with added colour from the midnight sun and northern lights is located in the northern part of the Scandinavian peninsula that must visit destination. Holiday Home Straumsveien is a holiday home set in Straumsbukta in the Kvaløya Island Region and is 15 km from Tromsø. It provides free private parking. Free WiFi is provided throughout the property. Troms or Romsa is a county in North Norway, bordering Finnmark to the northeast and Nordland in the southwest. To the south is Norrbotten Lan in Sweden and further southeast is a shorter border with Lapland Province in Finland. To the west is the Norwegian Sea (Atlantic ocean). The entire county is located north of the Arctic circle. 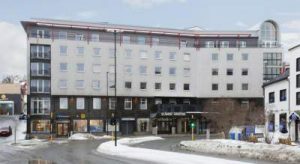 The county was established in 1866 Until 1919 the county was formerly known as Tromso amt. 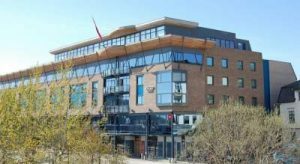 On 1 July 2006, the Northern Sami name for the county, Romsa, was granted official status along with Troms. 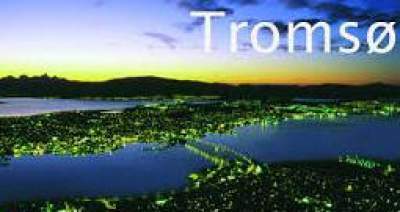 The county (and the city of Tromso) is named after the island Tromsoya on which it is located (Old Norse Trums). Several theories exist as to the etymology of Troms. One theory holds “Troms-” to derive from the old (uncompounded) name of the island (Old Norse: Trums). Several islands and rivers in Norway have the name Tromsa, and the names of these are probably derived from the word straumr which means “(strong) stream”. Another theory holds that Tromsoya was originally called Lille Tromsoya (Little Tromsoya), because of its proximity to the much bigger island today called Kvaloya, that according to this theory was earlier called “Store Tromsoya” due to a characteristic mountain known as Tromma (the Drum). The mountain’s name in Sami, Rumbbucohkka, is identical in meaning, and it is said to have been a sacred mountain for the Sami in pre-Christian times. The Sami name of the island, Romsa, is assumed to be a loan from Norse – but according to the phonetical rules of the Sami language the frontal t has disappeared from the name.However, an alternative form – Tromsa – is in informal use. There is a theory that holds the Norwegian name of Tromso derives from the Sami name, though this theory lacks an explanation for the meaning of Romsa. 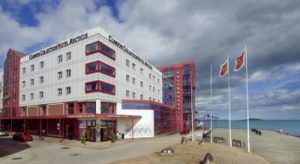 Take A Break Holidays takeabreakholidays, Troms Accommodation.